I mean the answer is probably yes, but you can check. Historical maps on top of modern maps. 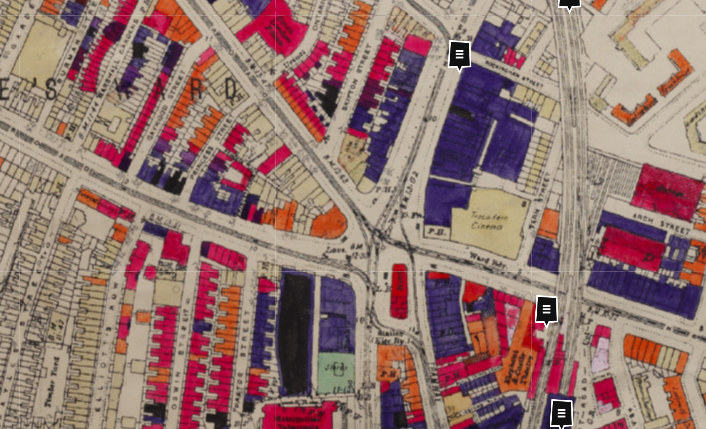 Nice - Maps, maps and more maps including OS maps from 1940’s - 1960’s and 1893 -1896. It’s a fascinating map. Yes our building was bombed. We live in a converted factory originally built in 1910, a quarter of it was destroyed and later rebuilt after a bomb hit it on the south eastern corner. We had a load of work done on the building a couple of years ago and the structural engineers were able to point out the change in the building’s fabric and war-time concrete work. My kid’s old primary school also recorded a direct hit from the very first raid of the Blitz. Presumably at night time, so I assume no pupils involved. It really brings it home to you.